Create or recreate the big calls of the game with your official MLB Umpire minifigure. Get ready to bring baseball action home to you! The perfect gift for the biggest (and littlest!) sports fan in your life. 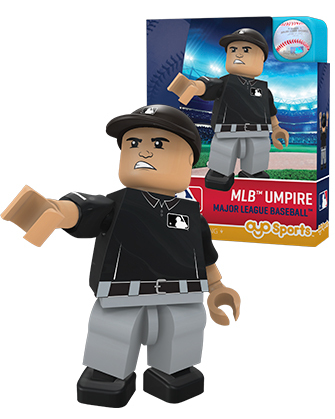 Your minifigure looks just like a real MLB Umpire! Proprietary bendable knees and poseable arms allow them to run, toss and make the call! Accessories: Authentic MLB Umpire uniform, cap, bat, ball, glove and water bottle. Would like to see a Plate version With mask and maybe chest protector. This umpire adds another feature to my baseball display. Perfect for my baseball display! Loved It but wondered why it had a bat? Good design and product. Very satisfied with quality of item. 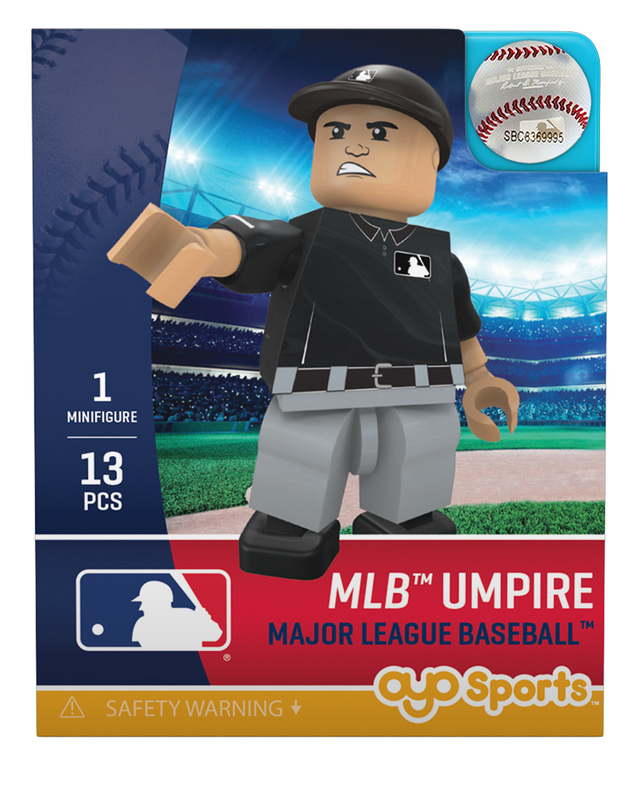 Umpire looks official with the other players..
Looks good, set up with other players on the lego field. ordered for my grandson... he loves it! Great addition to the baseball field my son is building. I was happy to find these items for my grandsons. cool item but, I don't think a umpire needs a bat and ball as an accessory. Should have a goalie mask for a catcher's mask. Have not opened item yet. 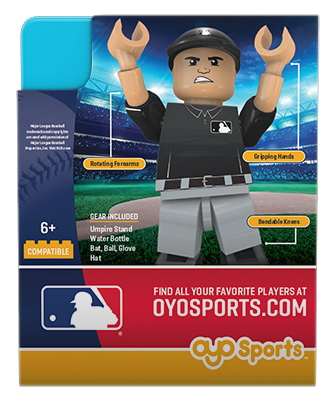 Not only is this item just ridiculously small, even for a "mini", I can't help but wonder first, why it comes with a bat and a ball for the umpire and second, it sure would be nice if the hands actually snapped into place in the arms. The idea of this was so cool, but the actual product is just plain dissappointing. Loved by my 6 yr old grandson! Need an ump to keep track of the outs! An umpire for every base! It will be nice to add with the other players I purchased.